The Appalachian Trail came into being as the result of the labor of hundreds, if not thousands, of volunteers who toiled ceaselessly to survey routes, break trail through the mountains, negotiate rights of way from private landowners, and build shelters along the route. However, several individuals deserve particular credit when it comes to the history of the creation of the Trail. 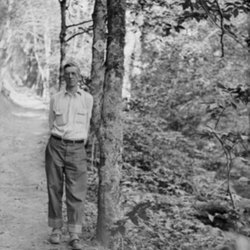 Benton MacKaye had the vision and Myron Avery had the relentless drive to complete the Trail, but many other lesser-known volunteers contributed countless hours to the design, building, and maintaining of the Appalachian Trail. 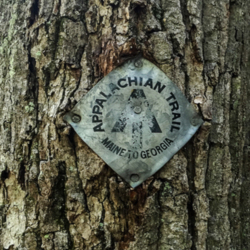 The Appalachian Trail as we know it today is the result of both private and initiative and governemental action. While the original version of the Trail was created largely by volunteers, they made extensive use of federal and state land creating the Trail, especially in the region south of the Susquehanna River. As early as 1945, members of Congress took an interest in the Appalachian Trail as a national cultural and recreational resource, but it was not until 1968 that the Appalachian Trail entered the jurisdiction of the Department of the Interior. 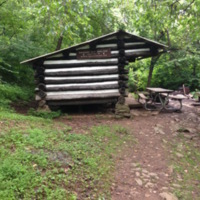 This exhibit charts the history of the migration of the Appalachian Trail from a volunteer project based largely on private land to a National Scenic Trail under the jurisdiction of the Department of the Interior. Since the beginnings of the Appalachian Trail in the 1920s, tens of millions of hikers have set foot on the Trail for a few hours, a few days, a few months, or to hike it from one end to the other. 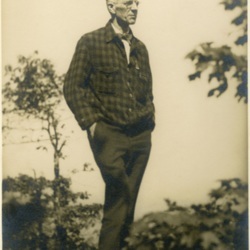 In doing so, they pursue Benton MacKaye's goal of developing a new form of outdoor community life to, as he said, help solve "the problem of living" in modern industrial society. Of the millions of hikers who have spent time on the Trail over the decades, we know only a little about a very few--those who chose to sit down and write about their experiences. Many of those who wrote about their hikes were long distance hikers and so the story of the day hiker is much more difficult to tell. 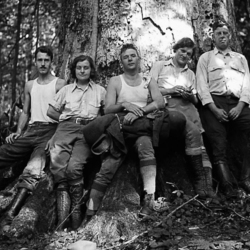 This exhibit offers glimpses into the experiences of some of the best known hikers, but also into those less well known hikers who also shape the history of the Appalachian Trail.